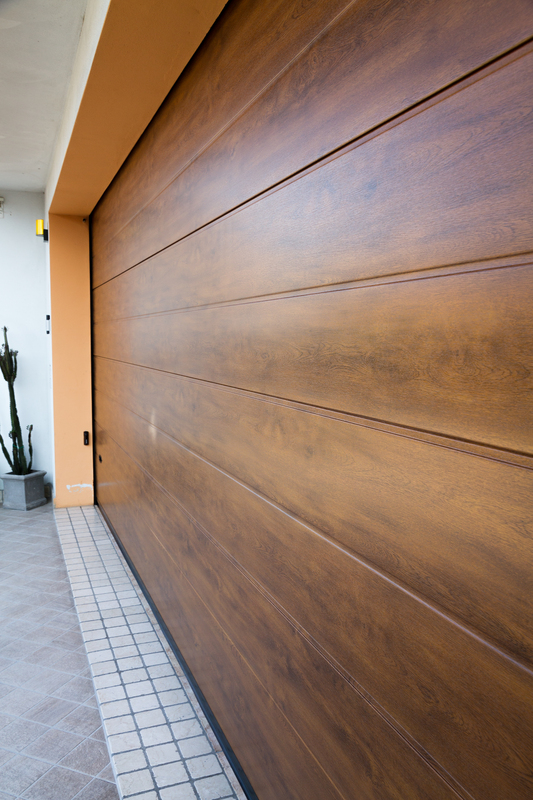 Wood pattern in a functional and washable everlasting panel, it does not need any maintenance. 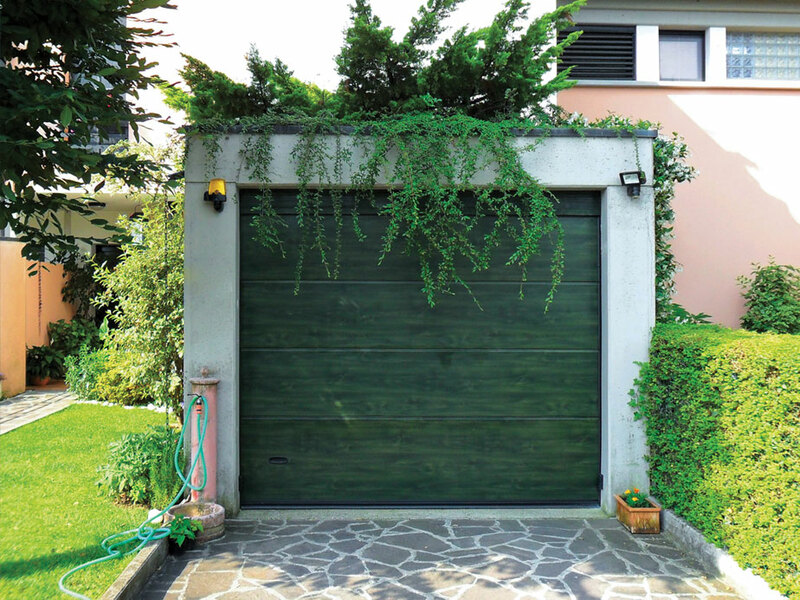 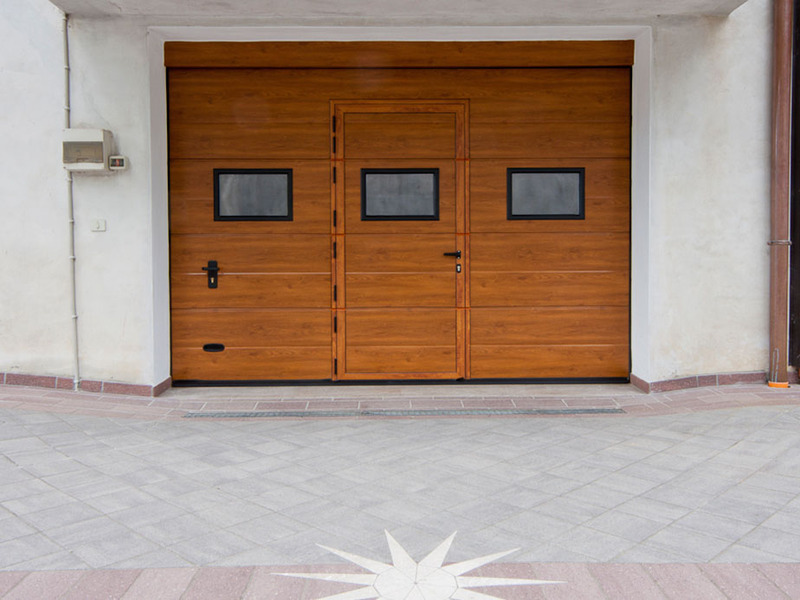 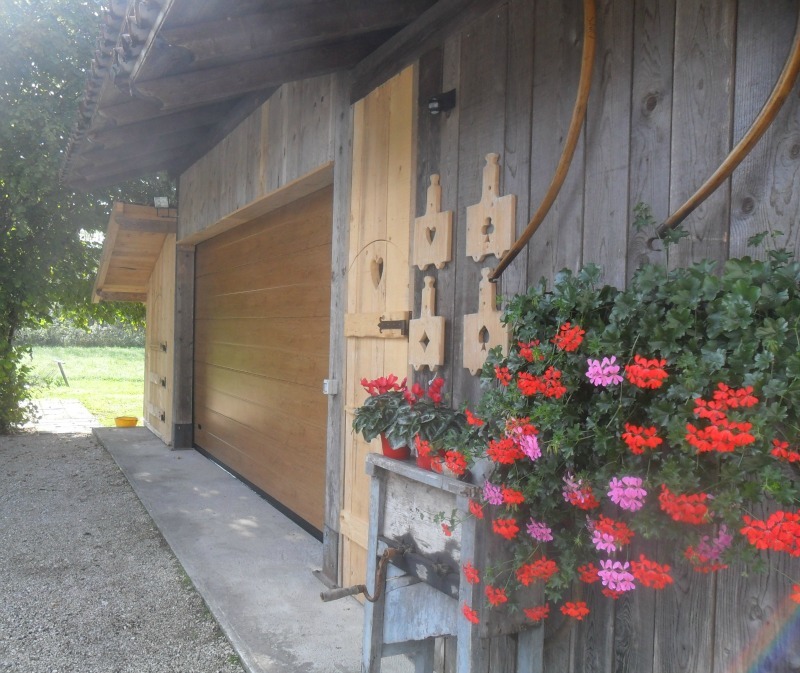 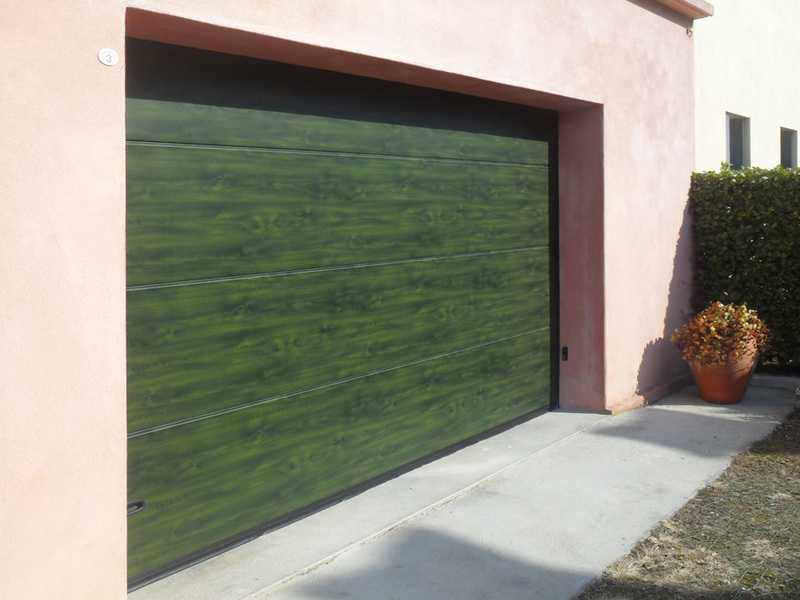 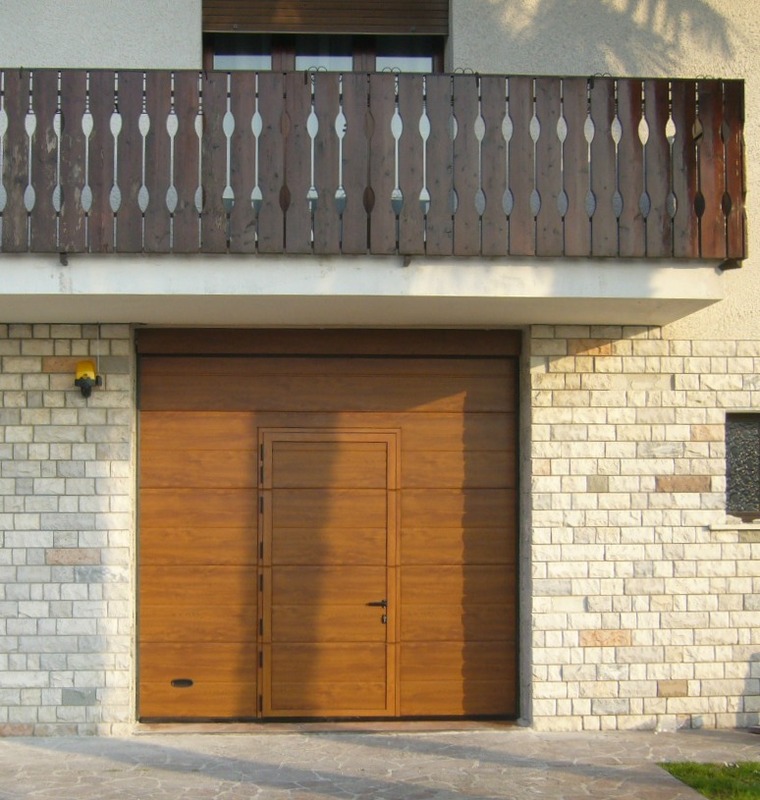 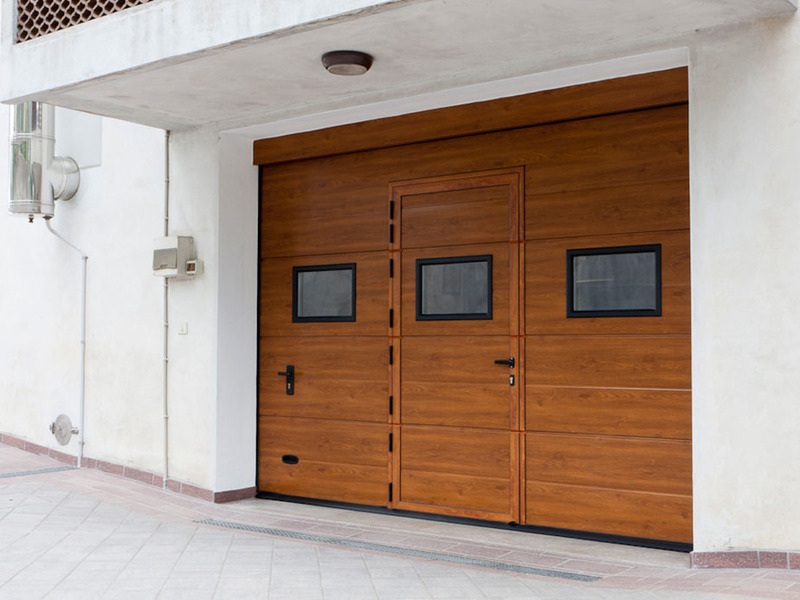 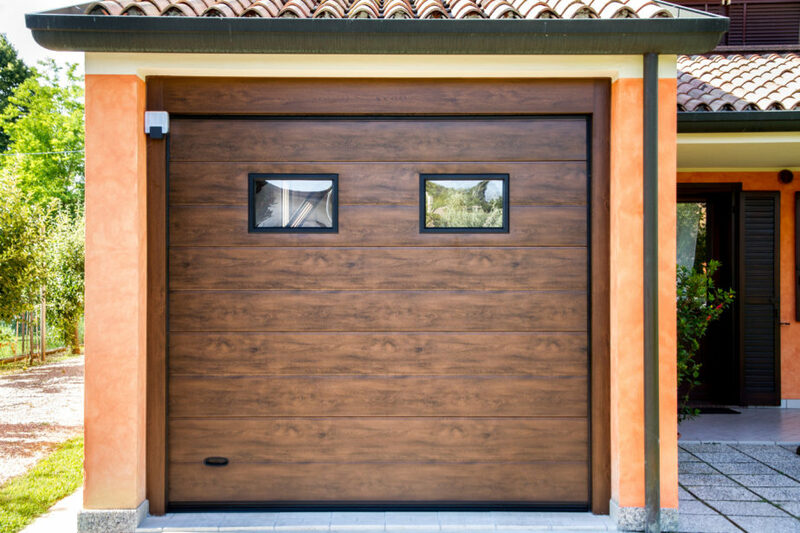 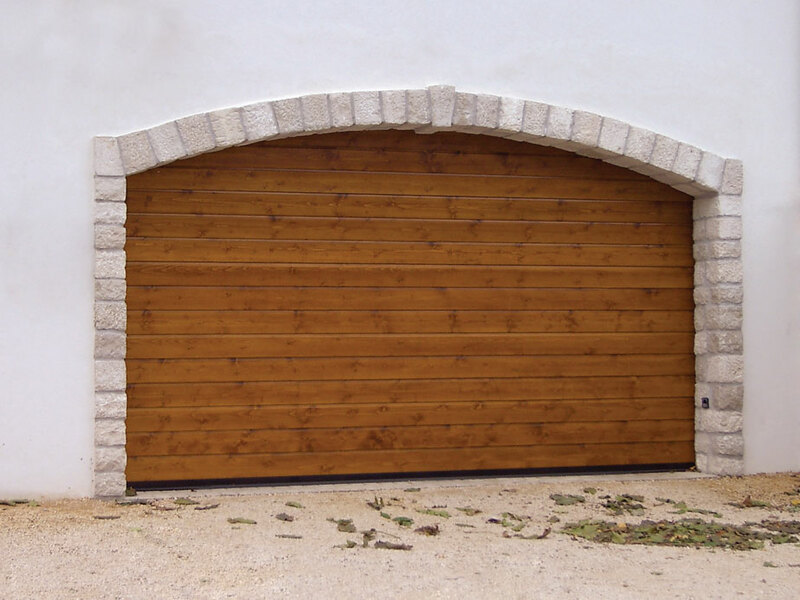 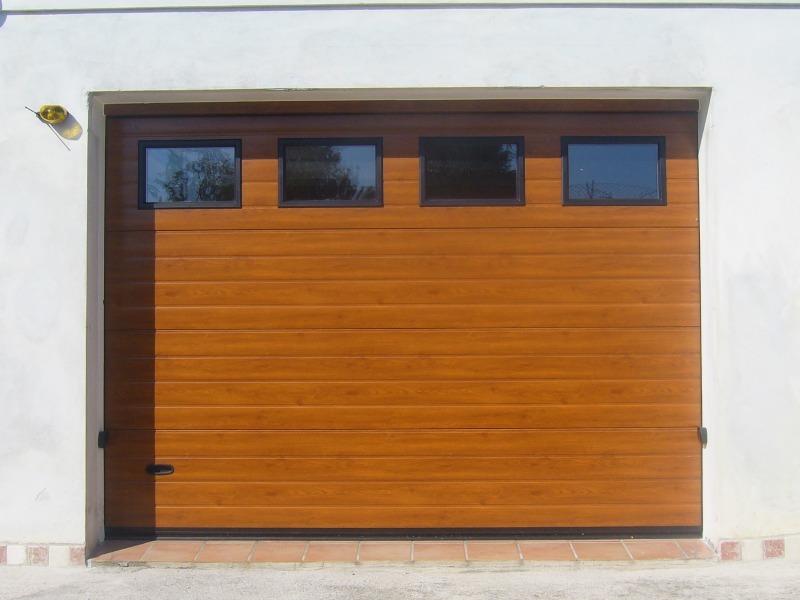 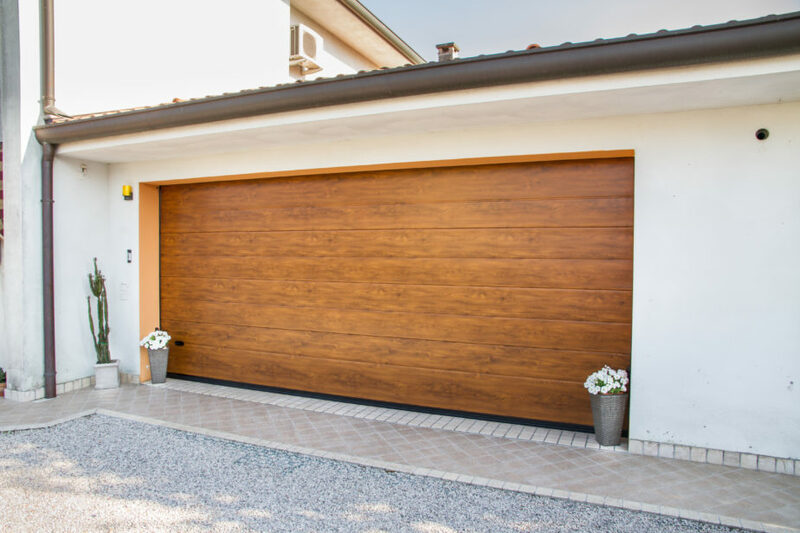 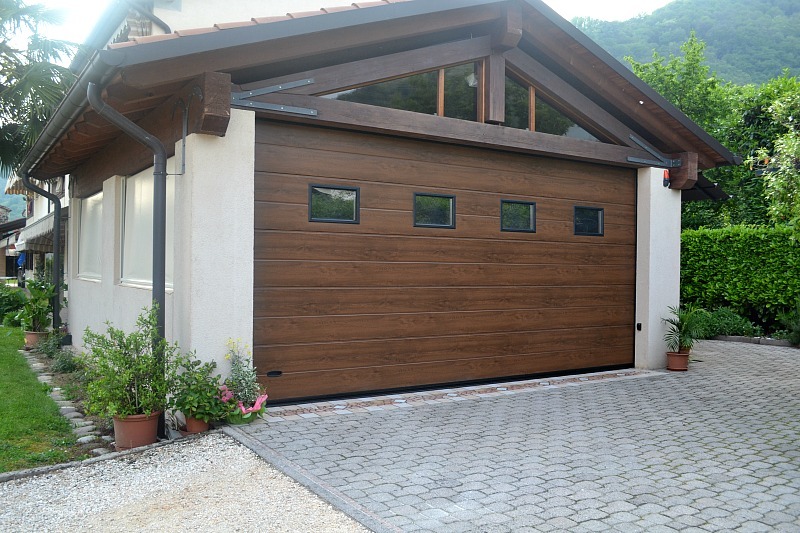 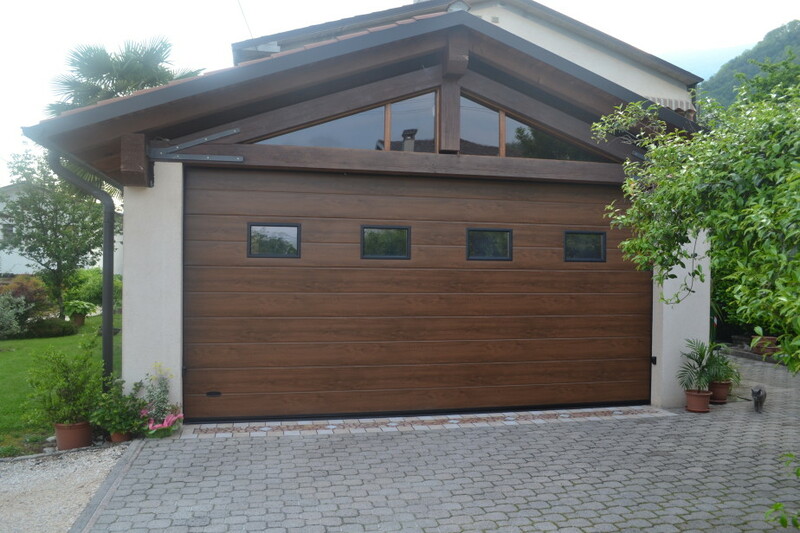 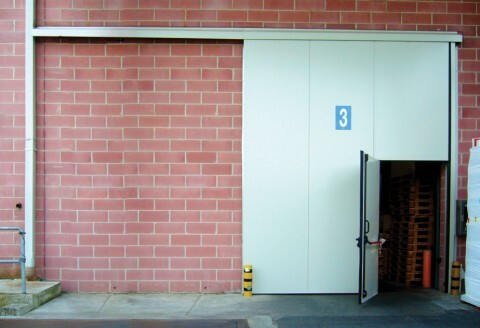 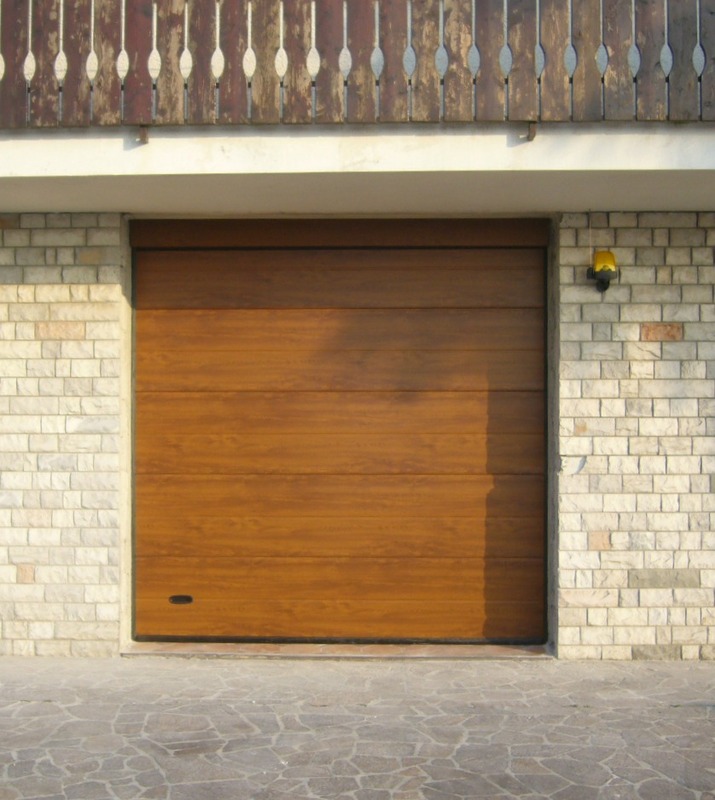 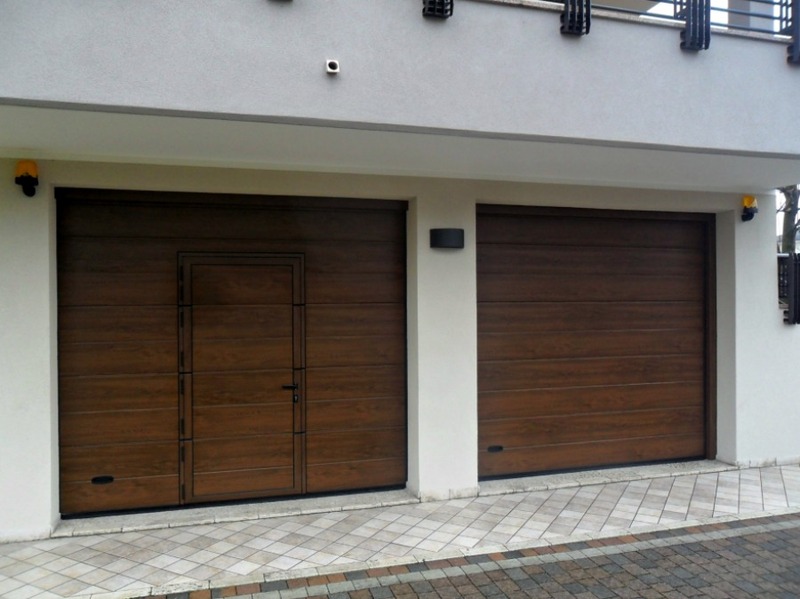 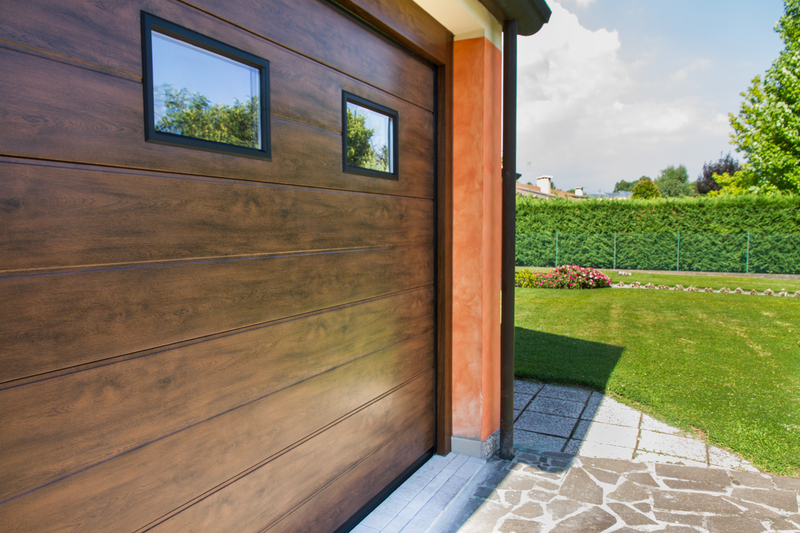 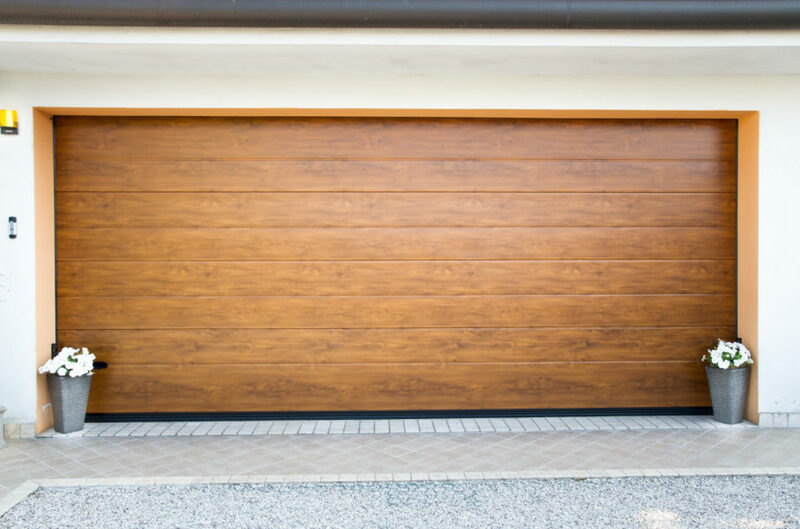 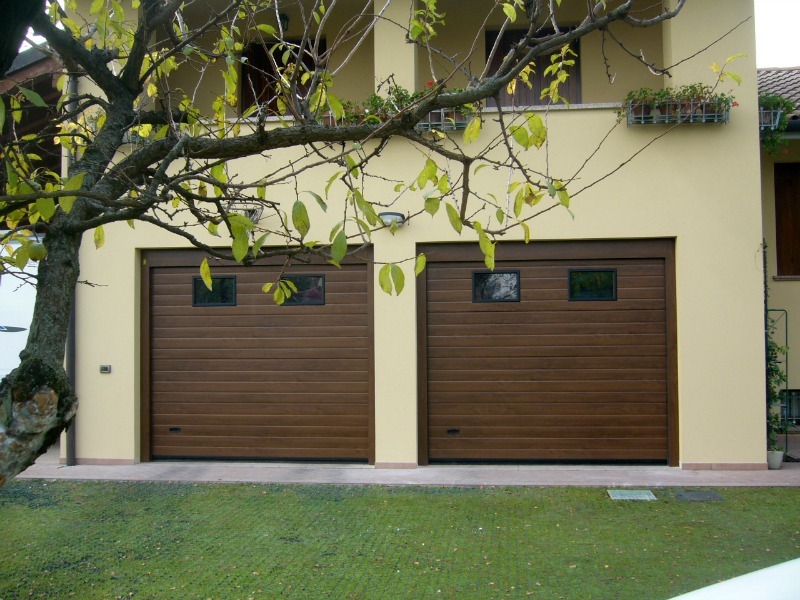 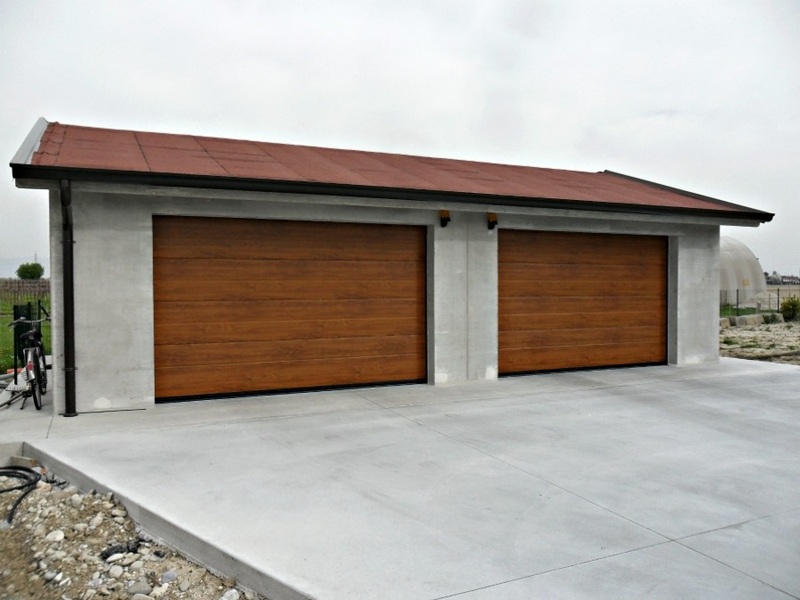 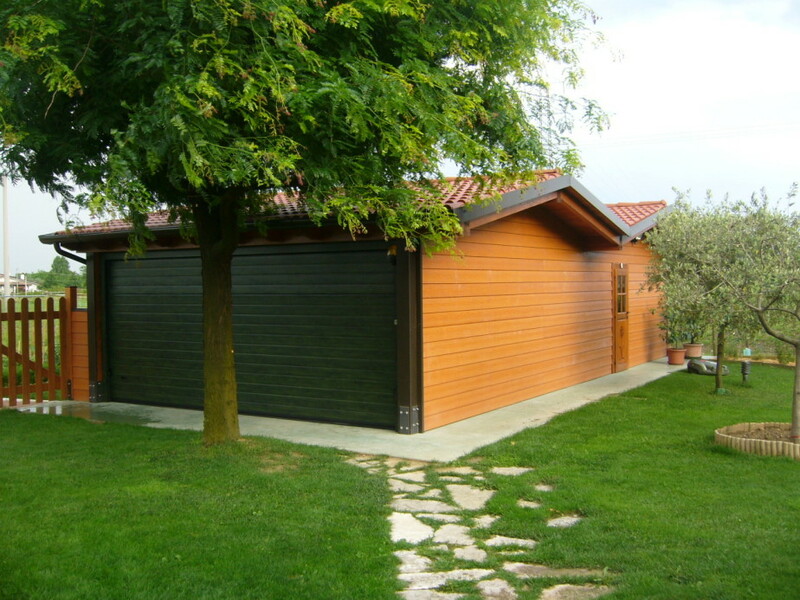 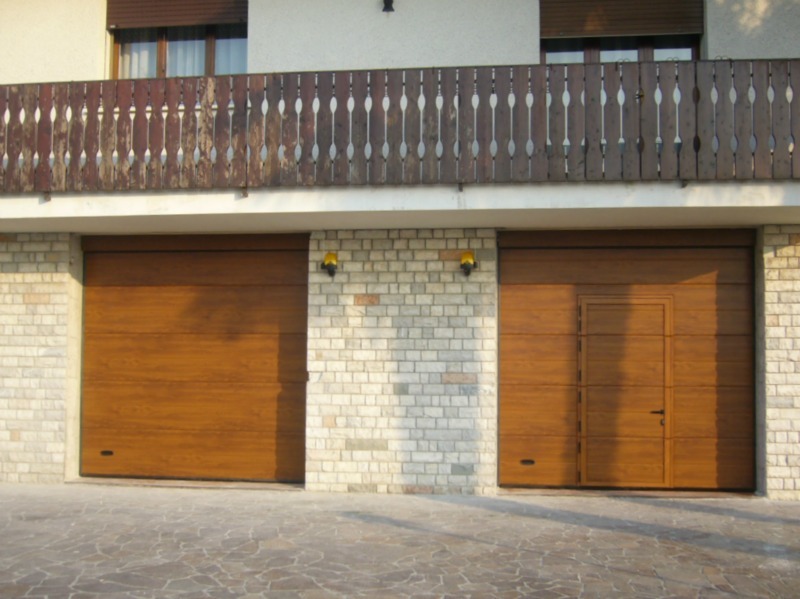 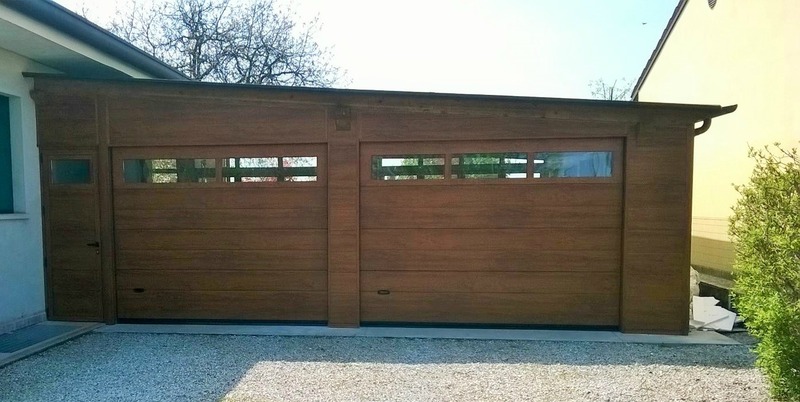 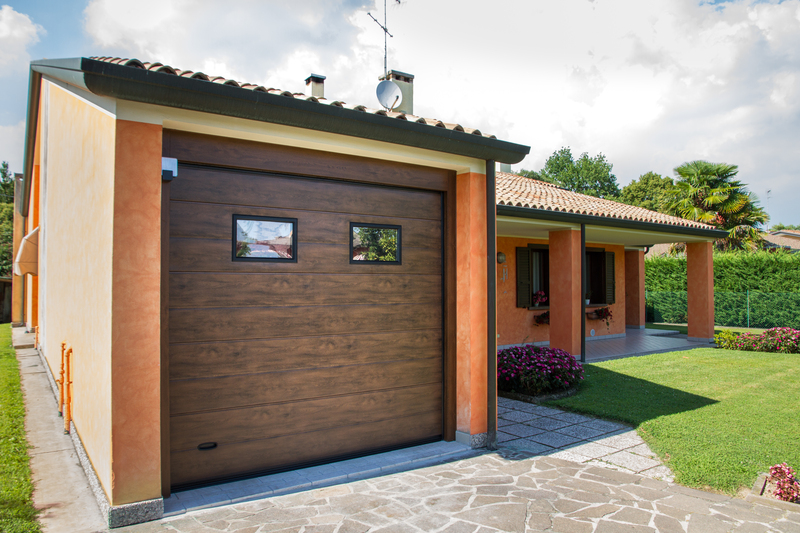 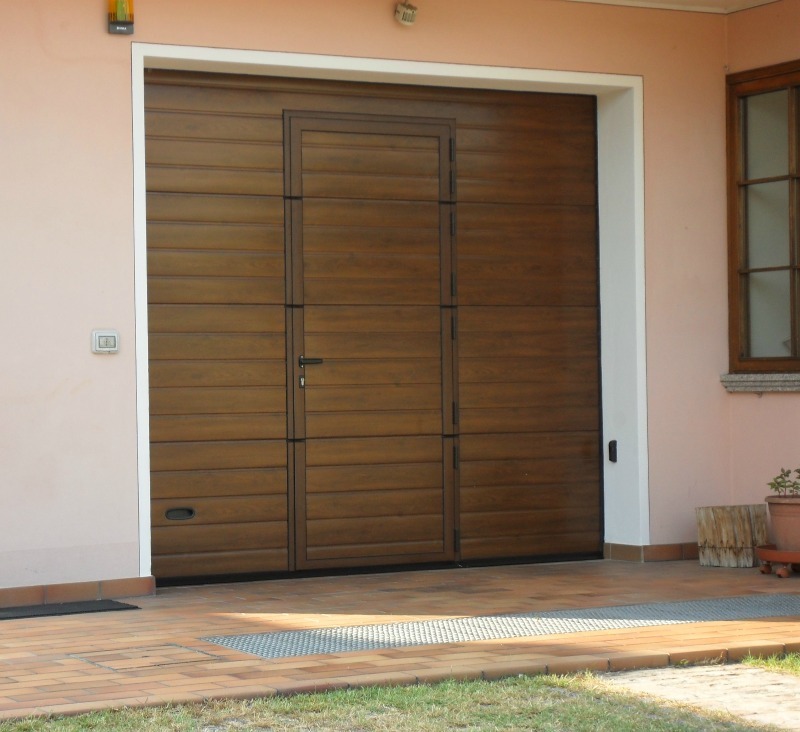 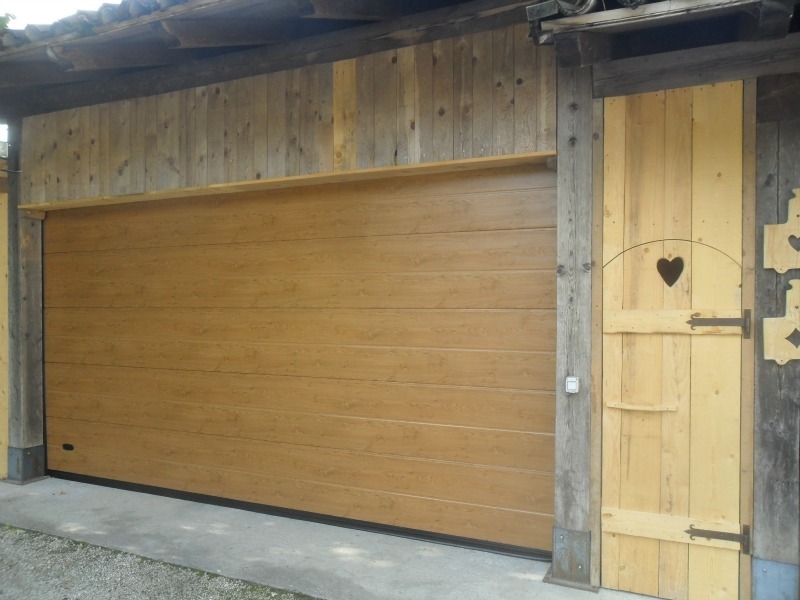 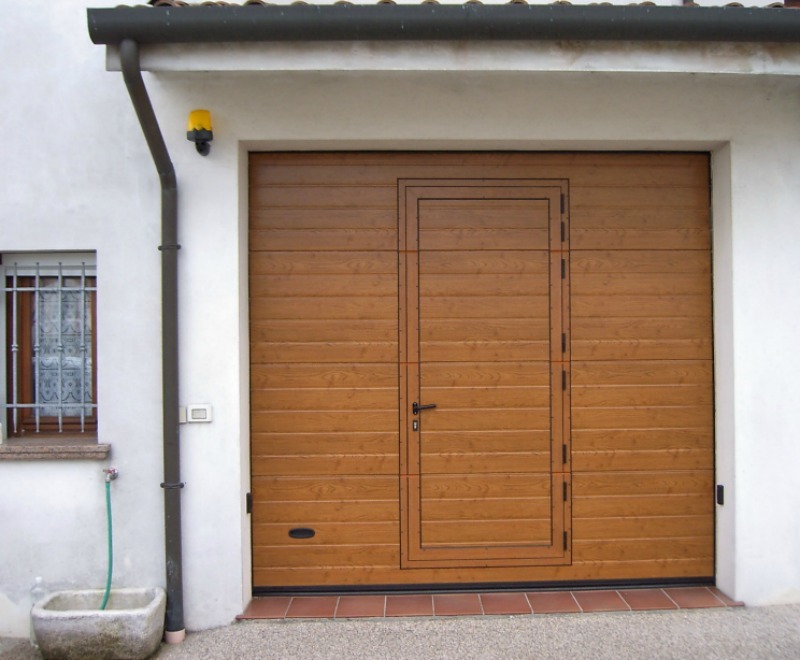 It is suitable as a garage door in backyards, in an old town background or wherever you need to. 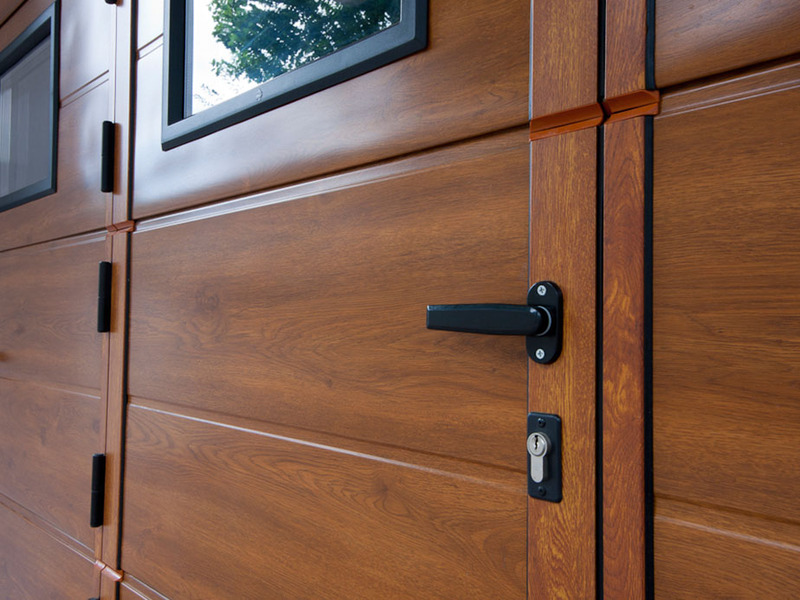 Thanks to the natural harmony of the wood and the innovative insulated panel features you can meet both beauty and insulation needs. 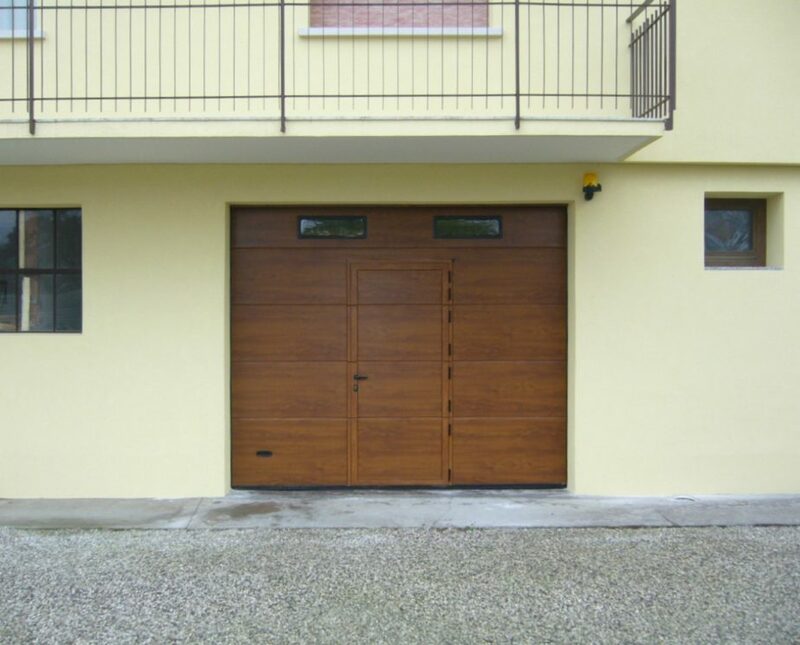 • All configurations available, standard, vision with windows, with inserted pedestrian door or with windows and door. 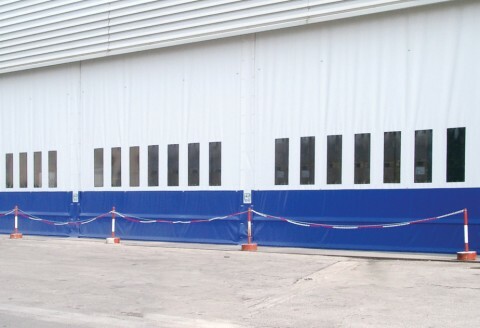 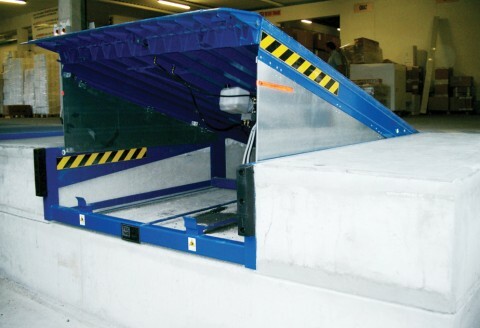 • The panels can be completely plain with no lines, single line or with 120 mm wide multiple lines. 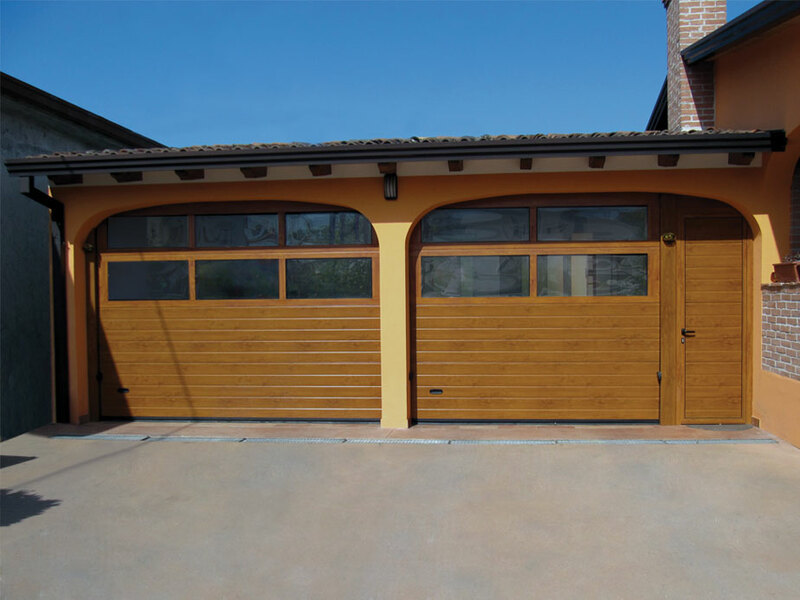 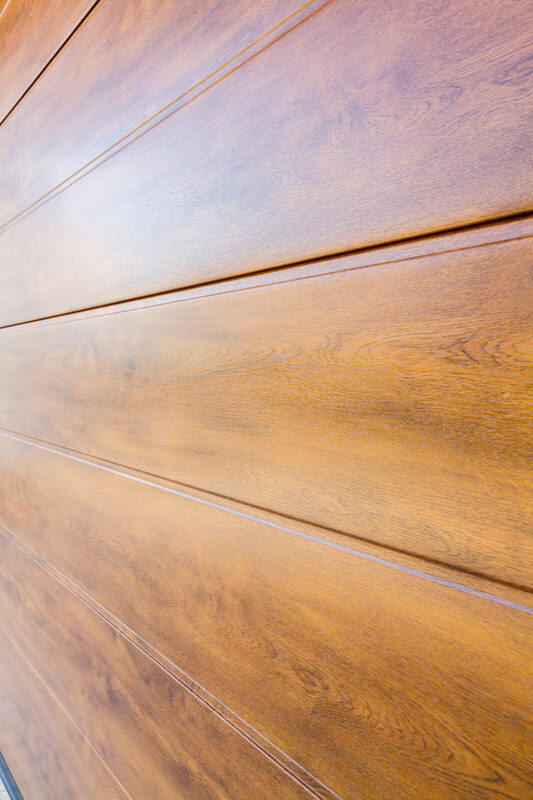 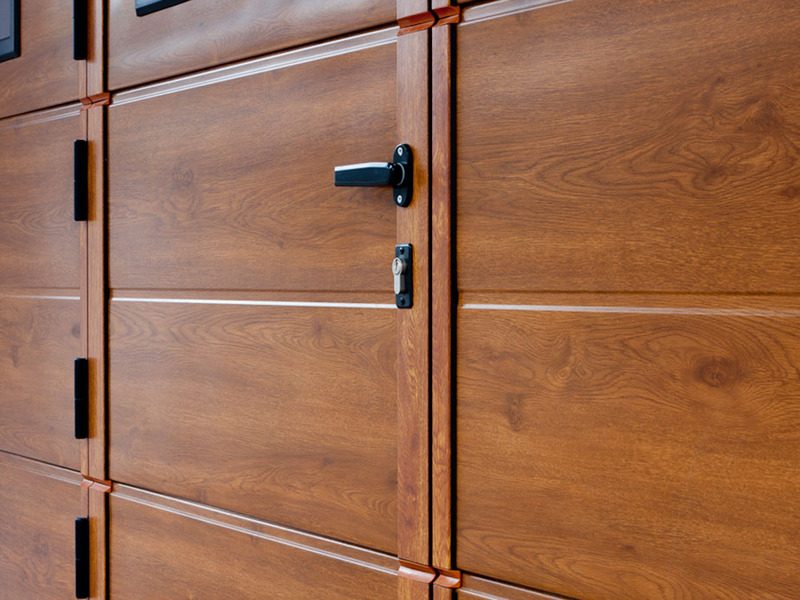 • External wood colours among Golden Oak, Light Oak*, Walnut*, Mahogany* and Green*. 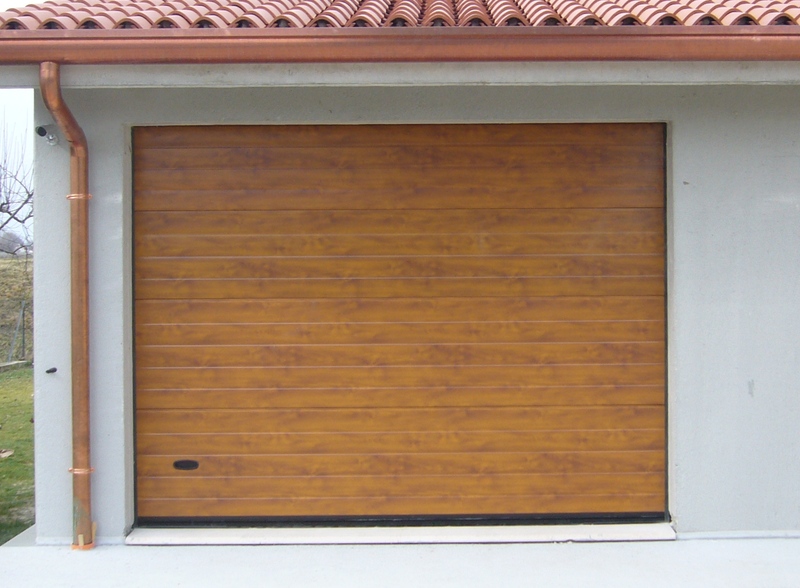 • Standard internal colour White Grey Similar to RAL 9002, every other colur between RAL chart available.